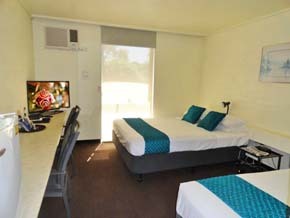 Leongatha Motel is a pet-friendly, family-run motel offering 28 quality affordable rooms in a quiet setting, with all units located at ground level and free parking adjacent to the rooms and large vehicle parking at the rear. 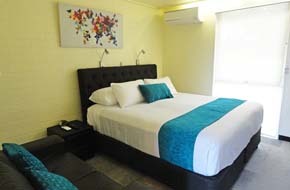 The Motel is conveniently located within 500 metres of all the town's shops, eateries, Hotels, RSL Club and Cinema. Stay two nights or more and receive a discounted room rate. Our room facilities provide comfort for all guests with Free In-room Wi-Fi, large LCD TVs, reverse-cycle air-conditioning, a selection of Foxtel channels, Licensed Mini-bars, Microwave Ovens, Hair Dryers, Irons & Ironing Boards, Direct Dial Phones, and Electric Blankets. We also have electric car charging facilities available at no cost for guests. Ideally situated between Phillip Island and Wilsons Promontory, Leongatha Motel provides the perfect base for your next getaway or business trip.